Powerful magnets and motor give stirring speeds up to 2000rpm and is capable of mixing large volumes (up to 15 litres *). 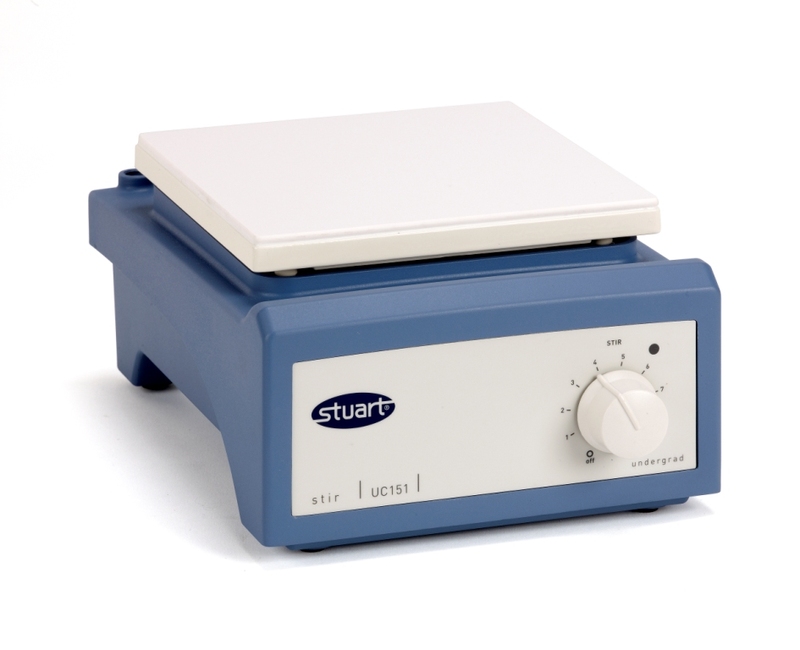 The compact shape of the magnetic stirrer takes up less bench space and makes storage easier. Model UC151 has a glass ceramic top which has excellent chemical resistance. The surface is also very easy to clean. The white surface ensures good visibility of colour changed, during titrations for example. 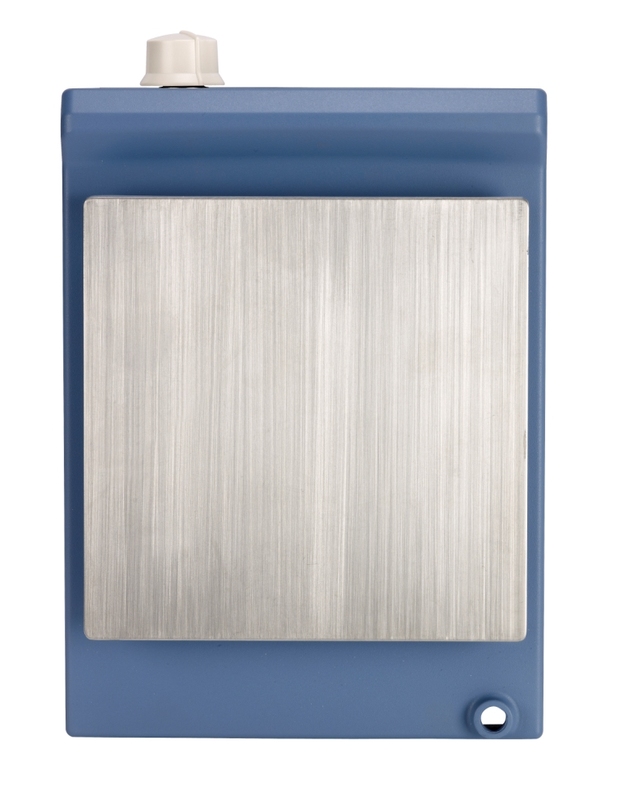 Model US151 has a robust stainless steel top plate that does not produce eddy currents like aluminium and so ensures a very powerful coupling and stirring action. 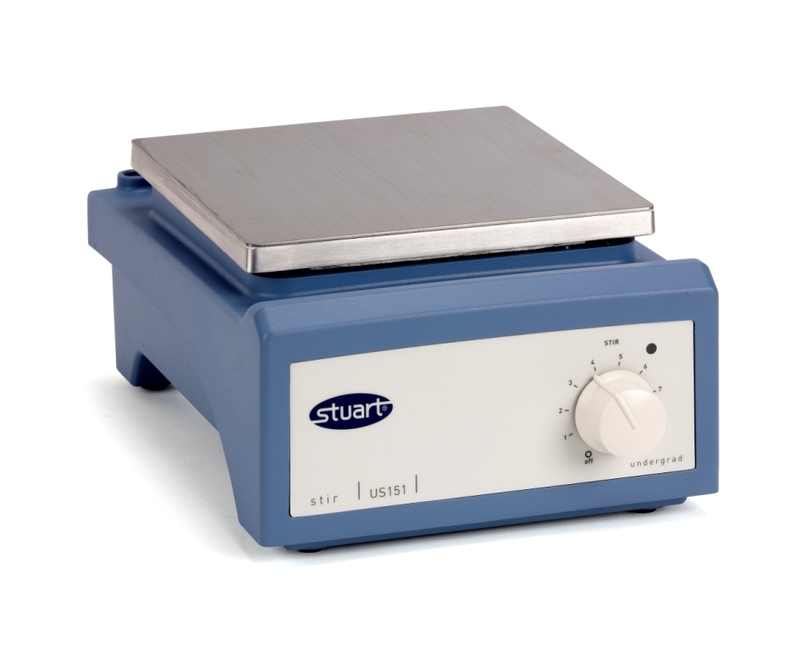 Both magnetic stirrer models have an integral fitting for a retort rod and are supplied with 2 x 25mm PTFE coated stir bars. The bottom of the magnetic stirrer is shaped to allow a retort base to slide underneath the unit if required so saving further bench space.